After iOS 4.2 update for Apple TV today Apple has seeded iOS 4.2.1 for Apple TV 2G which has minor bug fixes mainly addressing issues with flickering, waking from sleep, and audio output. From Apple Article: HT4448 following fixes in Apple TV Software Update 4.2.1 are added. TV compatibility Addresses issues that may cause the screen to flicker or display incorrect color on some older TVs. Wake from sleep Addresses an issue where Apple TV may not wake up from sleep. Audio Addresses an issue where audio may not be heard on some TV models after switching from another input. 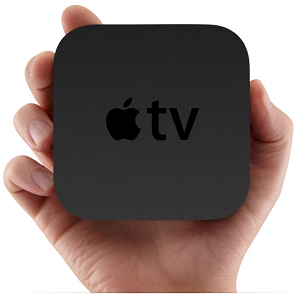 Stability and performance Apple TV Software Update 4.2.1 includes stability and performance fixes for Apple TV. You can download iOS 4.2.1 for Apple TV 2G using below direct download link. Apple TV 2G Jailbreakers shouldn’t update to iOS 4.2.1 until dev team or firecore team says to do so.